Muslim of Georgia from a significant part of the Muslim community in the USA. Many Muslims of Atlanta, Marietta and Lawrenceville leverage towards Islamic rituals and beliefs. They are passionate and devoted towards Islamic causes of the region. They are following the footsteps of their forefathers who were true contributors to the progress of human civilization. Moreover, they are providing countless narratives to recent time conversations of Muslims and Islam. A Large number of Muslims of Lawrenceville, Marietta, and Atlanta go to the Umrah Journey per year. 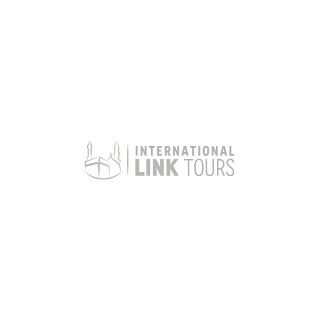 International Link Tours has designed a special package exclusively for Georgia Muslims. Muslims of Georgia spent a lot of this life changing experience, but we want you to spend intelligently. Perform all customs of Umrah with all the peace, concentration and tranquility. We would take care of all of your residential and transport issues. Make this a perfect family holiday and get endless favors of Allah SWT by performing Umrah with us as we provide to our customers to repay their trust in-kind. Who would not want to see Holy Kaabah and visit the resting place of Prophet Muhammad PBUH? It is a dream of every Muslim to satisfy their spirits with these sights. It is extremely easy to have full focus on Umrah rituals when your heart is unoccupied with all the logistical problems. The best, suitable and affordable prices are provided to you along with peace of mind. We pledge for best value of your money. Due to expansion project in Makkah and Madinah special rooms are organized by International Link Tours for its valued customers. The affordable rates are just for the purpose of fulfilling the desires of the Muslims community of Georgia to gain spiritual satisfaction. Our warm and welcoming team will take care of all the arrangements so that you have an indelible experience of Umrah pilgrimage. Complimentary Ihram is provided to male pilgrims along with the educational and religious material. The religious literature is in Arabic, Urdu and English languages. Sightseeing of holy places and historical landmarks is also included in the package. A group of pilgrims who intend to travel together can happily avail this package of ours. A knowledgeable and professional guide is with you all through your journey. Some of the rooms are equipped with a panoramic view of the Nabvi Mosque. Make this journey with us, a journey to remember.